Integrated single platform offering full end to end functionality. Linxa’s innovative Connect solution is designed to address today and future challenges faced by Wholesale Telecom operators. Linxa modules have been integrated into a single platform that simplifies the full end-to-end management of the wholesale communication business. Linxa Connect has all the tools and support needed to efficiently manage pricing, routing, monitoring and invoicing for the best possible performance. This enables real-time decision making to simplify, optimize, grow and increase profitability. Integrated single platform offering end to end solution - The Linxa platform has been developed to simplify each aspect of the Wholesale Telecom ecosystem, making it easy to rapidly serve new demand and grow your business. Rating, routing, billing and monitoring features are integrated into a simple but powerful web based user interface with different but secure user access levels with full traceability and audit. Certain modules can be offered as standalone solutions if required. Linxa Simulate creates optimum traffic distribution, by taking into account multiple criteria such as cost, quality, bi-lateral and contractual commitments. Linxa Simulate allows you to perform an analysis of your decisions by analyzing alternative routing scenarios. We realize the importance of business continuity and time to market. Our robust yet flexible integration methodology allows customers to run their business without any interruptions while we deploy Linxa Connect and migrate their existing business seamlessly. We take commitments seriously and ensure to meet deadlines without compromising quality. Schedule a one-on-one demo. Speak with an Linxa expert so we can learn about your unique goals. Web based (browser agnostic) integrated platform with single login. Automatically recognize and import any format of rate sheets within seconds. Use dynamic prefix structure instead of static prefix structure. Automated dial code mapping for supplier rates. Generate optimum routing plans reflecting costs, quality and business agreements. Origin based rating, routing and reporting. Manage bilateral deals and automatically optimize routing tables to minimize costs. Routing server with built-in number portability capability for multiple countries. 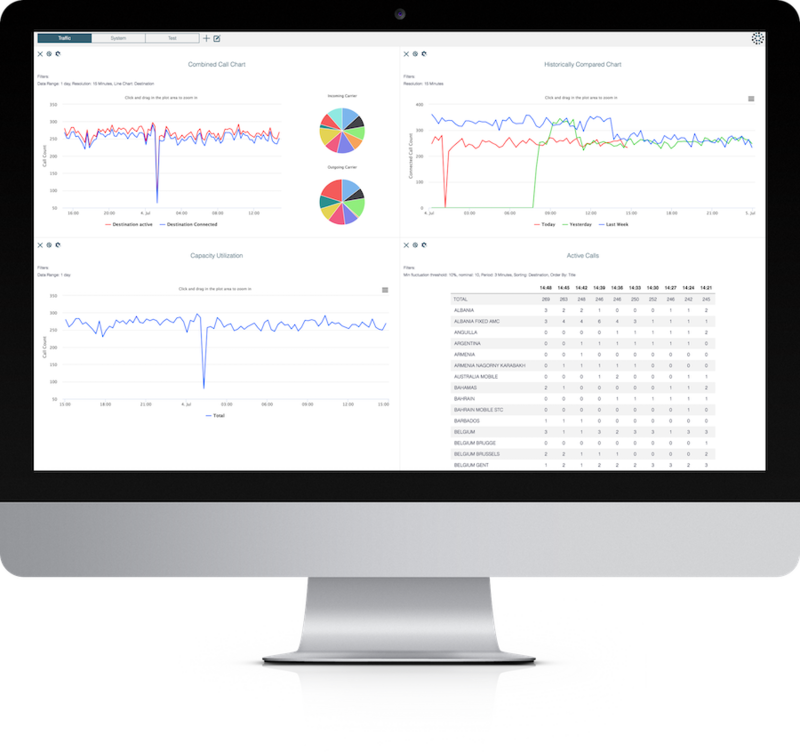 Monitoring and processing of live data, generation of custom reports based on traffic, quality and profitability. Automatically generate invoices and statements, with drilled down information available in case of disputes. Our dedicated team works together with your teams to design the optimal implementation plan on your existing infrastructure to ensure a seamless migration. Our technology allows Linxa Connect to easily communicate with all switches and SBCs in the market. By obtaining a full license, you have the control to configure, manage and operate the system on your premises. Your financial preference is our priority: With the fully licensed model, customers have the option of paying the license fees up-front as part of their Capex investment and then annual maintenance, or choose to pay on a monthly recurring basis. Linxa Cloud utilizes the powerful and fully integrated Linxa Connect in a secure, geo-redundant, scalable and highly available SaaS environment. The cloud software is always kept updated with the latest version that features the newest developments; giving you the peace of mind on avoiding costly upgrades. You can be up and running on our hosted platform as quick as a week with full training provided to your employees. Linxa also offer a hosted dedicated platform either on public or private cloud as required. Based on monthly payment plan that correlates to your actual volumes, a discounted option to pay up-front is also available.